Nicola Moneta, milanese, ha cominciato a studiare con intento professionale il contrabbasso seguendo privatamente, all'inizio degli anni 80, l'insegnamento del Maestro G.Scotto, allora primo leggio nell'orchestra del Teatro alla Scala. Successivamente ha allargato i suoi interessi musicali allo studio delle percussioni specializzandosi soprattutto come timpanista. Fin dall'inizio appassionato di musica barocca ha approfondito gli aspetti della prassi esecutiva antica utilizzando un'arciviola contrabbassa, una tromba marina da lui stesso costruita e le varie taglie dei timpani che erano in uso tra i secc. XVI e XIX. E' inoltre l'unico al mondo in grado di suonare l'Octobasse, un gigantesco contrabbasso a tre corde, ed è proprietario del solo esemplare funzionante. Lavora stabilmente con diverse orchestre, sia sinfoniche che di musica antica, ha registrato CD per la Fonè, Bongiovanni, Sarx e numerose altre case discografiche. Si è laureato in Economia e Commercio alla Bocconi nel 1984 e nel 1986 in Scienze Politiche all'Università Statale. Ils font de la musculation pour trouver les aigus et abordent Vivaldi ou John Lennon avec la même résolution. Au-delà de l'anecdote expérimentale, ils développent un répertoire susceptible d'intéresser un public large de mélomanes. Contact : Jean Ané 06 07 94 79 45. Le carré de basses avec les contrebasses en carbone Cosi de Jean-Claude Lagarde. A l'arrière-plan, l'octobasse de Nicola Moneta. 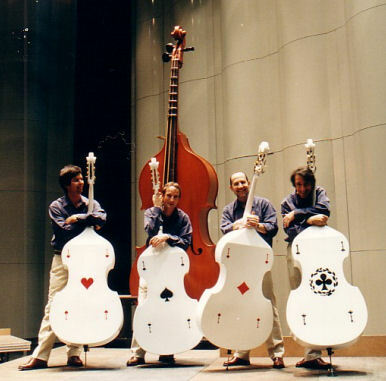 Proclaimed by the New York Times as “the master of his instrument,” Jeff Bradetich is regarded as one of the leading performers and teachers of the double bass in the US today. Since his New York debut in Carnegie Recital Hall in 1982 he has performed more than 450 concerts on four continents including his London debut in Wigmore Hall in 1986. He gave his professional concerto debut at the age of 16 and was appointed to the orchestra of the Lyric Opera of Chicago by age 19. He has won many major solo competitions and has been featured on radio and television throughout North and South America and Europe including CBS, CNN, BBC, CBC and NPR. In addition to his international tours as a performer and teacher, Mr. Bradetich has been an active proponent of the double bass. As Executive Director of the International Society of Bassists from 1982-1990 he established the ISB International Conventions, now in their 25th year; the ISB Classical, Jazz and Orchestral International Competitions; the ISB Endowment Fund and the ISB Magazine. In 1987, Mr. Bradetich co-founded Music For All To Hear, Inc., the first company to record music especially arranged and acoustically prepared for the hard of hearing. His pioneering work in this field has helped to bring music into the lives of thousands of individuals with hearing losses. He continues to offer his Summer Master Classes, now in their 21st year, for students of all ages and abilities. He has also help to encourage, develop and organize many other double bass workshops throughout the world including the Texas Bass Symposiums, the Hammond Ashley Memorial Workshops and the Mittenwald, Germany International Master Classes. Niek de Groot is one of today's leading bass players. Since 1996, he is professor for double bass at the 'Folkwang Hochschule' in Essen, Germany. 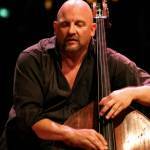 He also has been working as principal bass in various orchestras throughout Europe. From 1996 to 2006 he was the principal solobass of the Royal Concertgebouw Orchestra of Amsterdam. Through studies at the 'Banff Centre for the Arts' in Canada and masterclasses with distinguished cellists such as Frans Helmerson, Lluìs Claret and Laurence Lesser, he has a developed a style of playing which enables him to also use the double bass as an independent solo instrument. Many of his students hold positions in famous orchestra's like the Stuttgarter Kammerorchester, Münchner Rundfunkorchester Orchestre Philharmonique de Luxembourg, Brabant Orchestra, Aachen Symphony, Barcelona Symphony, Royal Concertgebouw Orchestra, Orquestra Sinfonica de Galicia, Orchestra National de Lille etc. At the same time he has carved a notable international career as a chamber musician, soloist and teacher of masterclasses. Performing frequently as a soloist with orchestra, Niek de Groot is also a highly respected recitalist, appearing in halls like the Amsterdam Concertgebouw. He is frequentely asked as a soloist and teacher at major international music festivals, including those of Schleswig-Holstein, Kuhmo, Naantali, Xalapa, Potsdam-Sancoussi, 'Pablo Casals' Prades, 'Orlando', Carthago, Middelburg, Freiburg, Colmar, Robeco Amsterdam, Brugge, Oslo, Bergen, Venice, Storioni Eindhoven, Delft and Buffalo. Amongst his chambermusic partners are the Artis , Mandelring , Ysaÿe, Skampa, Brodsky and Fine Arts quartets as well as the Altenburg Trio, Storioni Trio, Vladimir Mendelssohn, Menahem Pressler, Markus Stockhausen, Arto Noras, Michel Lethiec, Milan Turkovic, Andre Cazalet and Vadim Repin. He is also a well-known contemporary music performer, working with composers such as Kurtàg and Stockhausen. Hein van de Geyn was born in 1956 in Holland. From an early age on he was playing music. First the recorder, later the violin and the guitar. In his late teens he picked up the bass-guitar and became interested in jazz. Soon Hein was working with some of the dixieland-bands in the south of Holland, but also formed his first bebop group. With this group he received the award as "best soloist" at the contest on the 1977 Laren Jazzfestival. 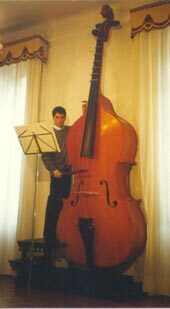 It was after this that he decided to pick up the double bass, and really pursue his career as a Jazz-musician. In the meantime though he finished his classical music-studies at the conservtory of Tilburg. After gaining much experience in all kinds of styles, Hein went to the U.S.A. in 1980 to tour with Mark Lewis. He decided to move there and did so after graduating, as the first in the country, from the Jazz-department of the Rotterdam conservatory, where he studied with Koos Serierse. After living in Seattle for a while and being much inspired by Gary Peacock, he moved to San Francisco in 1981. Here he was in a band with John Abercrombie and Larry Schneider, played with many great musicians, recorded some albums, and generally learned a lot about the reality of being a Jazz musician. In 1983 Hein returned to Europe and has since been establishing himself as one of the most sought after bassplayers in Europe. He has been the bass-player with Philip Catherine since 1985, touring all over Europe and playing in Africa, Israel, Romania and Thailand with him. In 1987 he toured and recorded in Japan with Chet Baker. In 1988 Hein started to play with and arrange for Dee Dee Bridgewater, with whom he has been performing at most of the important festivals in Europe. Besides these activities, he has worked as a free-lance sideman with many great players, has taught clinics from time to time, and has been bassplayer on some 40 records. Hein is constantly writing tunes - many of them are recorded - and arranges for bigger ensembles from time to time. In July 1990 Hein made the first album under his own name, a duo with Lee Konitz. He is now working on a solo-bass project. He is also preparing a new recording with John Abercrombie and Joe LaBarbera. Besides his continuing activities with Dee Dee Bridgewater, he is part of a trio with Philip Catherine and Tom Harrell, as well as being with the trio of Tete Montoliu.